So I whipped this up really quick tonight after work in anticipation of the Eagles game tonight- I'm kinda excited! Nothing fancy, but it does the job. 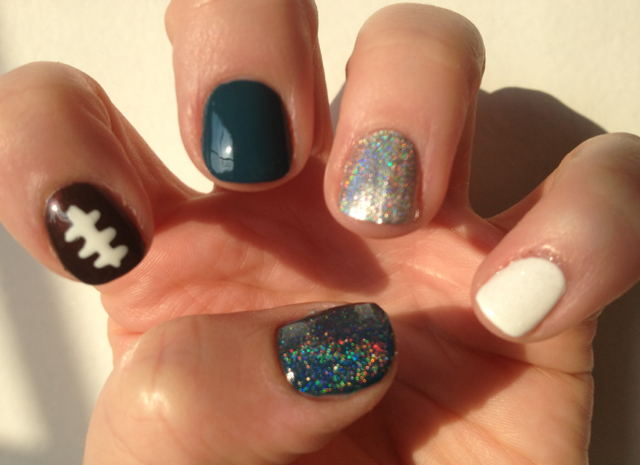 Link up your manicures below and visit some lovely blogs to help ease the hurt of Monday. Love them! I will be trying them with our team colors! Thanks for sharing! This mani is SO fun!! You've inspired me to try a Patriots one! Ooh these are so fun! This is awesome! 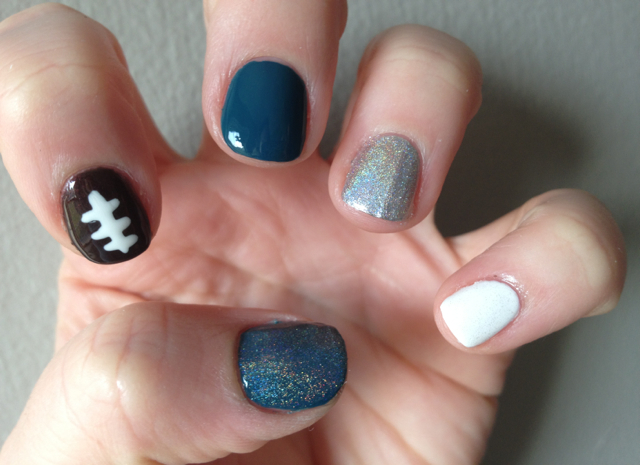 I need to do a Colts mani sometime soon!!!! 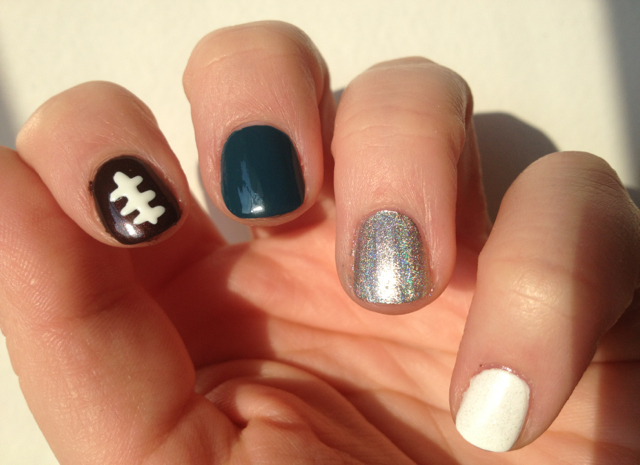 The football accent nail is adorable! Is the thumb a holo or the same as your middle with a holo over-coat?